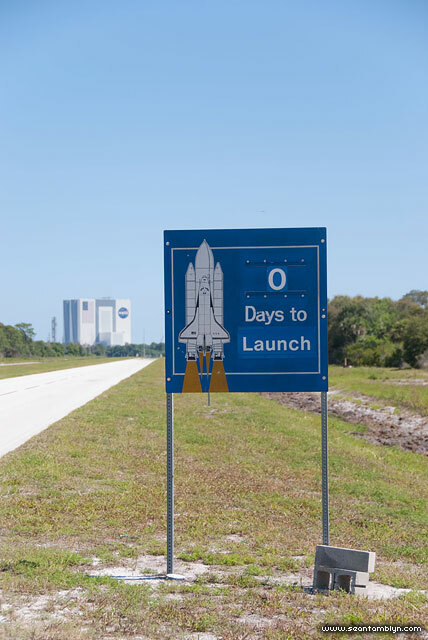 A sign on the roadway leading to NASA’s Vehicle Assembly Building proclaims the day of launch for space shuttle Endeavour, STS-134. This entry was posted on Tuesday, January 17th, 2012 at 5:58 pm. It is filed under Areas, STS-134 Endeavour, The Space Shuttle Project and tagged with Canon EF 70-200mm f/4 L, Canon EOS 5DmkII. You can follow any responses to this entry through the RSS 2.0 feed.